You are going to Watch Fairy Tail Episode 106 English dubbed online free episodes with HQ / high quality. 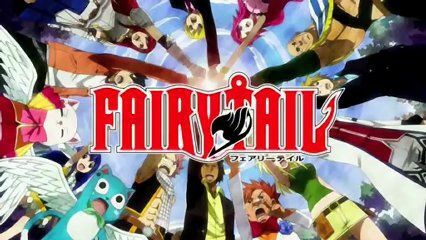 Stream Anime Fairy Tail Episode 106 Online English dub Grand Magic World. Azuma learns of Mirajane’s former identity as the “Demon” and straps Lisanna to a time bomb so he can fight Mirajane at full strength. Not wanting to lose Lisanna again, Mirajane sacrifices herself to defend Lisanna from the explosion. The remaining members of Fairy Tail learn from the Seven Kin their true goal: to resurrect Zeref and bring about the World of Great Magic, where only wizards would thrive while the rest of humanity would perish. Meanwhile, Ultear finds Zeref and, after a brief battle, successfully captures him.